Tri-Dosha founder Sunita Passi explains her journey into the ancient practise of Ayurveda and how led her to overhaul her life but launch lifestyle brand Tri-Dosha. This is a question I’m asked a lot and the answers are pretty straight-forward – and don’t involve some long-winded philosophy. The benefits are numerous – from stress relief to better sleep quality and just feeling a sense of balance and connection to your day-to-day existence. Before I discovered Ayurveda I was unbalanced, working out twice a day just to cope with the pace of life as a business journalist, travelling the world for my job. I was run down and basically just trying to get through the day as opposed to enjoying life. A chance trip to India in 2002 changed all of that. Although I was raised in Nottingham in the UK, I’m of Indian heritage and when I arrived, everything clicked into place. The sounds, the smells and the tastes all felt like I’d returned home. My grandfather was an Ayurvedic doctor and childhood memories of watching him work drew me back to this ancient practice. I tried an Ayurvedic massage in a side-street in the city of Pune, which was a life-changing experience. I felt a complete energetic transformation, I felt more connected to everything around me and was filled with a profound sense of peace and clarity. This inspired me to learn more about Ayurveda and make it a main focus on my life’s work. 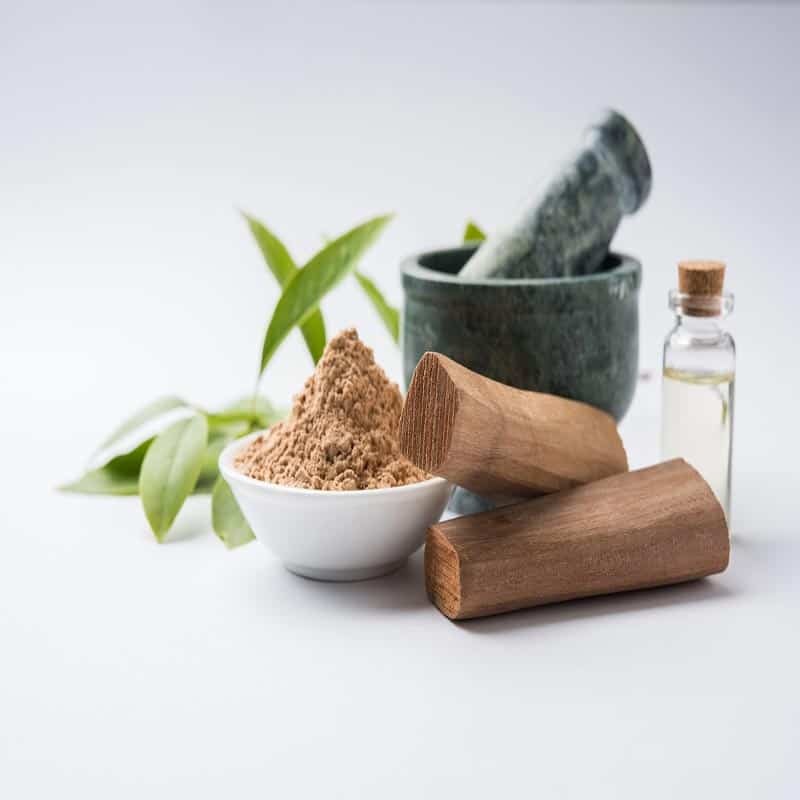 In a nutshell, Ayurveda is an ancient Indian health system which treats the whole person working holistically, combining nutrition, herbal remedies, yoga, meditation and massage. Spending time living in an ashram (a type of monastery), I became disciplined in the daily practises Ayurveda involves and started to release a lot of pent up stress and tension I had been carrying for a long time. And by eating the right foods (without feeling deprived), my energy levels and general health drastically improved. I also learned the importance of being present and mindful in general to help remain grounded and calm and restore a sense of equilibrium. The change in me was so profound, I was spurred on to help others when I returned to the UK. So in 2005, I founded Tri-Dosha, an accredited massage and education training provider and award-winning health and beauty brand. My eco-friendly range of body treatments was created in collaboration with holistic experts, teachers and formulators. I found the traditional Indian oils I’d been using were slightly too pungent for a Western market, so I set about developing my own range, incorporating medicinal herbs from independent farmers who had worked with my grandfather. I felt proud to have taken up the mantle and continued my family’s legacy. I have trained over 800 therapists in Ayurvedic healing techniques and work with individual clients to help them incorporate Ayurvedic principles into their everyday lives, to promote a sense of balance and harmony. I can’t tell you how rewarding it is to see how someone’s shift in energy has led to them having a renewed love of life, increased confidence and allowed them to be open to exciting new opportunities and meeting new people. My aim is to simplify Ayurveda’s teachings into everyday language, to cut through the mysticism and show people how they can apply Ayurvedic elements into their everyday lives and reap the many benefits as a result. Ayurveda is simply a case of going back to basics and not realising that everything we need for healthy happy lives is right infront of us, we just need to know how to tap into it. I look forward to welcoming you on this journey of discovery into this life-changing practice. Don’t forget to check back in on the blog and sign up to our newsletter for more of my regular updates on how Ayurveda can help you live life to the full.